The article below is partially truth. And thus a half-truth. But the only way to avoid to fall over the edge into self-centeredness is to grasp the immutable forces governing the Universe and Human Life. The Latter must serve as a template reminding one that one is not going into the right direction. Take the Law of Correspondence for example, which asserts that we are what we project. Or a mere law of physics saying that nothing is static, what does not expand, does regress. There are many new agey concepts out there that seem appealing but which often do not offer the big picture, hence are kinda misleading or require some serious homework. In short, when one’s beliefs do not recognize being part of a Whole, but contend to be the “whole”, yes selfishness will become a problem at some point. And this is the main pitfall of the New Age as it induced the naivete that the “self can do it all”. 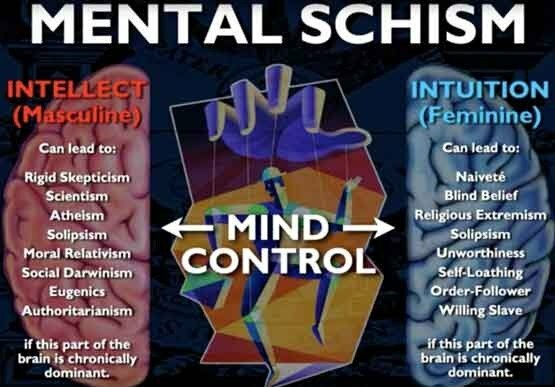 A Holistic Spirituality depends first on the development of a holistic brain, and belief systems generally target the right brain, on purpose, to create a schism, a fragmentation within, which is why many people have difficulties to comprehend why metaphysics drives materialism. Isn’t it ironic that money spent on non material things brings more happiness? Why? Because it is the role of money to help us realize that Reality is much bigger than our material possessions. We do live in a Thinking Universe, a Universe fully conscious, and human darwinism has always attempted to bypass this Greater Reality.